There are some foods that will actually help you recover from Hypoglycemia. The foods that are essential to a the recovery of a Hypoglycemic can be catergorised into 4 food types. Proteins, good fats, complex carbs and fibrous carbs. Each of these food groups are very important to a hypoglycemic and as a sufferer of hypoglycemia the most important thing that you remember is that these food groups when eaten in the right amount will help you recover. Again the following is not an exhaustive list but should get you started on improving your diet. Once again individualised diet plans is key. As mentioned it is not possible for me to list every single food that a Hypoglycemic may eat, this list however should give you some idea of foods to eat and what to avoid. 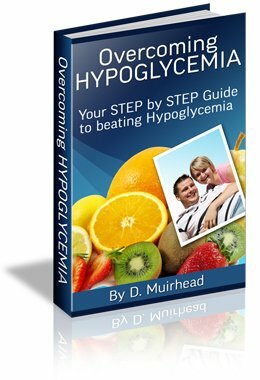 In my ebook you will find a much more detailed in depth list of foods that benefit a hypoglycemic. If you want to begin to overcome your condition it is essential that you slowly begin to ditch the foods I suggested that you avoid, and begin introducing these foods into your diet. Click here to be taken back to a list of foods the Hypoglycemic should avoid.